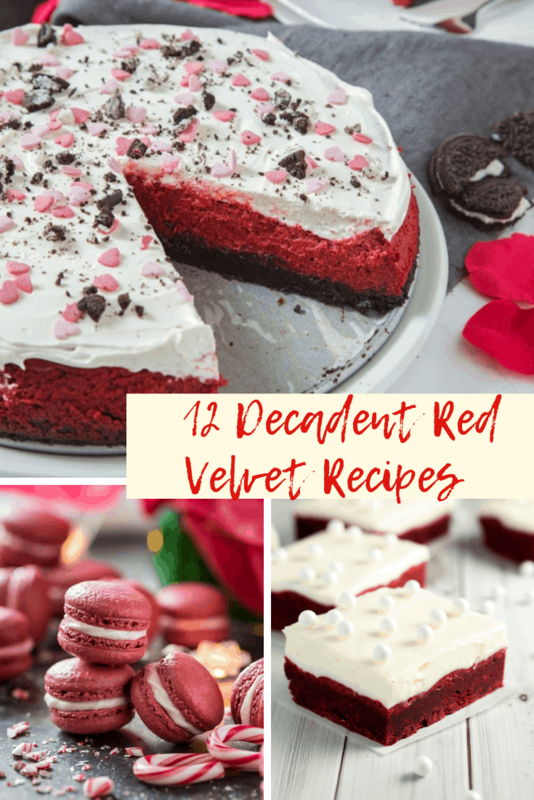 If you like red velvet cake, you are going to want to check out these decadent red velvet recipes! 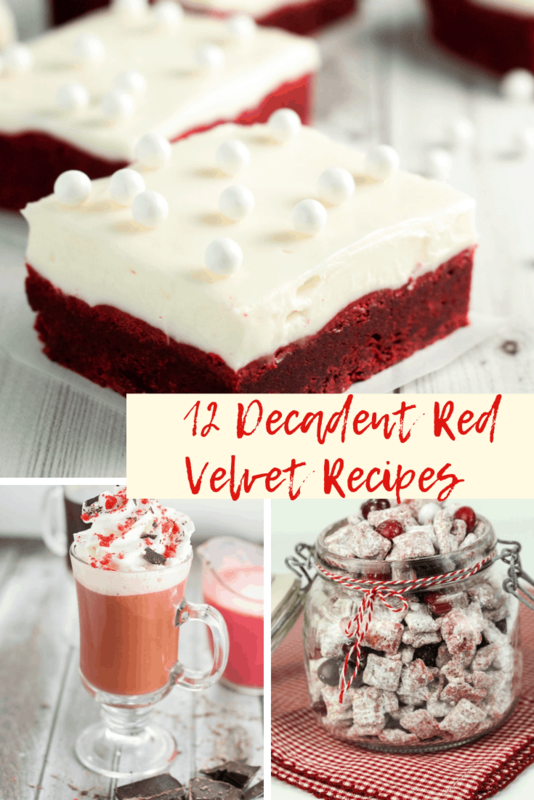 This collection has so many ideas for getting your red velvet fix in delicious ways. From homemade coffee creamer to red velvet hot chocolate to cheesecakes and macarons. Prepare to have your tummy rumbling as you browse! I love red velvet cake. I have made it for birthdays, parties and dessert at home on numerous occasions. 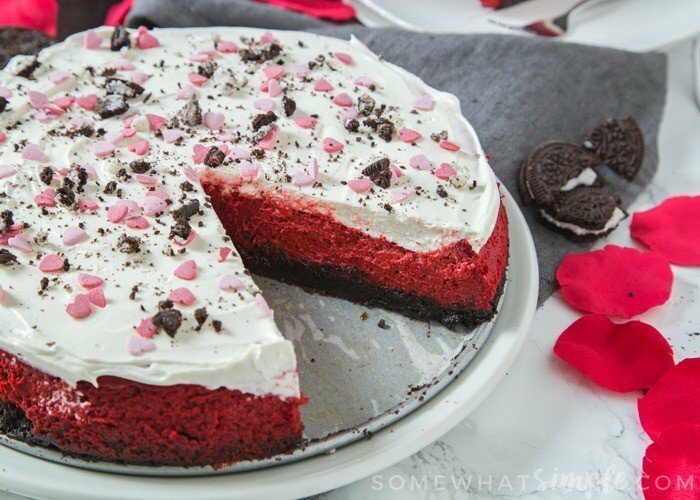 Many years ago a friend gave me a tip to make red velvet cake even more amazing. I haven’t stopped baking it since. As you may know, red velvet cake has vinegar as an ingredient. Vinegar reacts with the baking soda in the batter, to create that one of a kind flavour. My secret to red velvet cake is to use apple cider vinegar. It makes the colour more intense without more food colouring, and it makes the cake smoother. 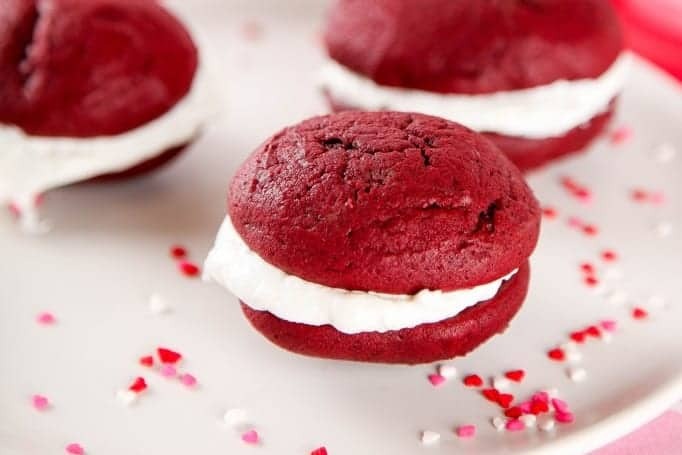 Here are 12 Decadent Red Velvet recipes that have piqued my interest. I have a feeling you will want to try a few of them yourself. As I mentioned earlier, I have made dozens of red velvet cakes. I love to add miniature chocolate chips to my cake batter when the event deserves a little chocolate too. What a combination to savor! Which Red Velvet recipe will you make first? You have successfully made me feel very hungry! All of these sounds so good and I’ll definitely try some of them. Amazing – I’ve bookmarked this as red Velvet is my favourite!! Those whoopie pies look delicious!! I am seriously loving the sound of these recipes. Will try a couple.